The hearing was open to the public, at the request of Student’s parents. 1 The hearing was originally scheduled to begin on October 22, 2007. Due to the fires in San Diego County, the hearing was postponed a week. 2 During the hearing, Student withdrew as a separate issue her contention that the District denied her a FAPE by failing to ensure Dr. Laura Schreibman’s presence at all of Student’s individualized educational plan team meetings during the time in question. Additionally, Student originally raised the issue, in her complaint and at the prehearing conference, of the District’s alleged failure to develop an appropriate plan to transition Student from her current educational program to the program offered by the District. However, Student did not present any evidence addressing this issue at hearing and Student does not address it in her closing brief. The only reference to a transition plan in Student’s brief is a one-sentence reference to the fact that the District’s proposal for two hours of consultation between its staff and Student’s present providers of applied behavioral analysis services is insufficient. This issue is therefore not addressed in this decision. Finally, the issues have been restated in accord with the evidence presented at hearing and the arguments offered by Student in her briefs. 3 As explained by District expert Dr. Laura Schreibman, ABA, as an intervention for the treatment of autism, is often associated with specific behavioral methods, such as: discrete trial training (DTT); intensive behavioral intervention; incidental teaching; pivotal response training; and verbal behavior analysis. A discrete trial is a single cycle of a behaviorally-based instruction routine. A particular trial may be repeated several times in succession, several times a day, over several days (or even longer) until the skill is mastered. The method and technique of ABA therapy requires that targeted behaviors be reduced to their most basic elements, and that the child is then trained by repetitious drilling in the redirected behaviors desired. Contextual factors, established operations, antecedent stimuli, positive reinforcers, and other consequences are used, based on identified functional relationships with the environment, in order to produce practical behavior change. Negative behaviors are generally ignored. Prompts or other assistance are timed and provided to assure correct responses, and then gradually “faded” to establish independence. The child is then urged to repeat each task until it has been learned. Overall, the treatment focuses primarily on developing language, increasing social behavior, and promoting cooperative play with peers along with independent and appropriate toy play. Concurrently, substantial efforts are directed at decreasing excessive rituals, tantrums and aggressive behavior. 4 His widow, Tracey Woodall, founded the Brent Woodall Foundation in his memory after he was killed in the World Trade Towers on September 11, 2001. Student’s mother was drawn to the website because she had known Brent Woodall in college. 5 On April 21, 2006, the Regional Center found that Student continued to be eligible for its services. 6 American Heritage Dictionary defines echolalia as the immediate and involuntary repetition of words or phrases just spoken by others, often a symptom of autism. 7 The Child Development Center (CDC) is a semi-autonomous unit within the District. It is a self-supporting fee-for-services preschool open to the public. There is no requirement that a student must be a District resident to attend the CDC. CDC employees are District employees, although the CDC is funded from student enrollment fees. The District’s general education preschool classes are in the CDC. The District’s preschool SDC classes, however, are operated outside the CDC under direct District control. Children with special education eligibility whose IEP teams place them in a CDC class do not have to pay the enrollment fees. 8 The District’s offer of speech and language services, occupational therapy consultation, and group social skills session, is not at issue. 9 As previously stated, Hanna Fenichel is not a certified NPS. However, there was no mention by the District at any of the IEP meetings or testimony by District staff at the hearing that the lack of NPS status was the reason the District did not offer to place Student there. 10 The ALJ listened to the full recording of both meetings. 11 Coyne’s report actually recommends a total of 25 to 30 hours of total ABA services. 13 Ms. Korneder has a Masters degree in Behavior Analysis from Western Michigan University, and is a Board Certified Behavior Analyst. She has been working at Coyne for about two years and is one of its Regional Directors. Ms. Korneder has almost 10 years of experience working in the area of ABA, with increasing responsibility over the years for supervision of ABA programs. 14 Dr. Morrow obtained a Doctorate degree from Washington State University in experimental psychology. He has spent over forty years working in the area of behavior analysis. He is a professor emeritus at California State University, Sacramento, a licensed psychologist, and a Board Certified Behavior Analyst. Dr. Morrow founded, and is presently the president of, Applied Behavior Consultants, a certified NPS for students with autism, which also provides ABA therapy to children and toddlers. 15 Dr. Bailey received her Doctorate degree in clinical psychology and developmental psychology from the University of Southern California in 2004. She is presently an assistant professor at California State University, Fullerton. She is not a licensed psychologist of Board Certified Behavior Analyst, although she has significant training and education in psychology and learning disabilities. 16 Dr. Levin, Coyne’s Clinical Director, received his Doctorate degree in Clinical Psychology from the State University of New York in 1996. He has a significant amount of experience working with autistic children, and a number of publications to his credit. 18 Dr. Schneider-Zioga has a doctorate degree in linguistics from the University of California at Los Angeles. She is presently a full time lecturer at California State University, Fullerton. 19 District witnesses did indicate that they could possibly arrange for the group composition to remain constant; however, the District did not confirm this by memorializing it as a part of the written IEP offer. 20 In fact, the District’s offer would require Student to have to interact with about 42 children each day, counting the children from the SDC and the children in the general education class. This directly contradicts Dr. Schreibman’s recommendation that an inclusion class for Student only contain a small amount of classmates because she did not believe Student was ready to handle interacting with a large number of peers at a one time. 21 Although a long time family friend, there is no evidence that Ms. Loveman had observed Student outside the context of her formal observations in preparation for the IEP meetings. 22 CDC Director Suzanne Blackwood and CDC teacher Jody Gallagher discussed the general education program and classrooms at the CDC. Their accounts credibly support the District’s position that the District offers a quality preschool education. This Decision just finds that the program did not meet the needs of the student in this case. 23 In any case, Student has not presented evidence of what the cost of the Coyne one-on-one aide is or if Student’s parents have paid any or all of the past costs of that services. 24 The terms “regular education” and “general education” mean the same thing as it relates to the IDEA, and are often used interchangeably by the parties here. 25 The federal code uses the term “evaluation” instead of the term “assessment” used by California law, but the two terms have the same meaning for these purposes. 26 The ALJ notes that the bill for services tendered by Dr. Bailey is extraordinarily high. The ALJ reviewed a sampling of about 15 prior California administrative decisions in which the Student’s parents requested reimbursement for an IEE. The ALJ did not find any reimbursement order for over $4,500. 27 Student has not provided any other evidence of costs expended by her parents for Coyne services. She has therefore failed to show entitlement to any reimbursement other than that ordered here. Furthermore, since the ALJ has found that District staff is competent to provide ABA services, Student is not entitled to reimbursement for the costs of her Coyne one-on-one aide at school. Attorneys Maureen R. Graves and John G. Nolte represented Student and her parents. Student’s mother was present throughout the hearing. Student’s father was occasionally present. Attorney Jonathan P. Read, of Fagen, Friedman & Fulfrost, LLP, represented the Solana Beach School District (District). Mary Ellen Nest, the District’s Director of Pupil Services, was present throughout the hearing. Student filed a request for due process on July 10, 2007. The District filed a request for due process on September 7, 2007. The District’s unopposed motion to consolidate the two cases was granted on September 14, 2007. Applicable timelines for the cases were deemed to begin running from the date the District’s due process request was filed. At the due process hearing, the ALJ received sworn oral testimony and documentary evidence. At the conclusion of the hearing, the parties agreed that the record would remain open in order for the parties to submit post-hearing closing briefs and reply briefs. Both parties timely filed their closing briefs on December 17, 2007. Student timely filed her reply brief on December 24, 2007. The District filed its reply brief on December 26, 2007. The ALJ closed the record and deemed the matter submitted as of December 26, 2007. The parties stipulated to tolling the time in which a decision was due until January 7, 2008. A. Predetermining its offer of placement and related services. B. Failing to consider all relevant data concerning Student, including input from her parents, before making an offer of placement and related services. C. Failing to offer an applied behavior analysis (ABA) therapy program that meets Student’s unique needs because it is not scientifically based and supported by peer-reviewed research, to the extent practicable, is not offered in a home environment, and fails to provide a sufficient amount of therapy hours. D. Offering a placement for a portion of Student’s school day in a special day class that does not incorporate adequate ABA principles, fails to include peers with compatible instructional needs, and which is not the least restrictive environment for Student. E. Offering a placement in a District general education classroom for a portion of Student’s school day that is an inappropriate instructional setting for her and whose addition to Student’s program creates a school day that includes too many transitions between classroom settings. F. Failing to provide staff capable of implementing the individualized educational plan (IEP) offered by the District. 2. Are the District’s assessments of Student with regard to her educational placement appropriate and, if not, is Student entitled to reimbursement from the District for the independent assessment conducted by Dr. Caroline Bailey? Student seeks District funding of 34 hours per week of direct ABA therapy, through her present provider, Coyne & Associates (Coyne), with the hours to be divided between student’s private preschool, her home and in the community. Student also seeks 16 hours per month of ABA supervision, also through Coyne, and payment for two hours per month of ABA clinics, attended by Student’s educators, aides, and ABA providers. Student also seeks reimbursement to her mother for time her mother spent providing ABA therapy to Student in their home. Student also seeks reimbursement for the cost of her tuition at the Hanna Fenichel preschool for the 2007-2008 school year, which has already been paid by her parents, along with an order for prospective placement at Hanna Fenichel with one-on-one aide support from Coyne for all hours Student is in attendance, for the remainder of the 2007-2008 school year. Finally, Student seeks reimbursement for the services provided by Dr. Bailey, including her observations, time spent researching and reviewing Student’s records, and time spent preparing her report. The main thrust of the dispute between Student and the District in this case is where Student should be educated in order to prepare her for entering a general education Kindergarten class in the fall of 2008. The parties do not dispute that Student should spend at least some of her time in a preschool classroom with typically developing peers. They do dispute, however, whether a District placement is appropriate to meet Student’s unique needs. With regard to the provision of one-on-one ABA services, the parties do not dispute that Student presently requires an aide during any time she spends in a typical general education class. Nor do they dispute that Student requires at least some direct individual ABA therapy. Rather, they dispute who is to provide the ABA aide and services, the amount of direct services Student requires, and if direct services should be provided at Student’s home or at the District’s preschool campus. Student contends that the District committed procedural violations of the reauthorized Individuals with Disabilities Educational Act (IDEA) during the IEP process by predetermining her placement in the District’s preschool and predetermining that Student no longer required that her present amount of ABA services continue in her home. Student also contends that the District failed to consider all relevant data concerning Student, including input from her parents and Coyne, before making an offer of school placement and related services, and failed to offer a program that is scientifically based and supported by peer-reviewed research, to the extent practicable. Student further contends that the IEP offer is substantively defective because it fails to meet her unique needs. Student contends that the District’s offer does not include provision for sufficient direct ABA3 instruction, fails to include peers with compatible instructional needs, and includes too many transitions between classroom settings. Student further asserts that the District’s offer of placement for part of her day in a special day class (SDC) is not the least restrictive environment (LRE) for her. She also contends that the offer of placement in the District’s general education classroom for the other portion of Student’s school day is inappropriate due to the structure of the class and, in particular, the amount of students in it. Student further contends that District staff is not capable of implementing the District’s proposed IEP. Finally, Student contends that the District failed to assess her appropriately and that she is therefore entitled to reimbursement for the services of Dr. Caroline Bailey, including all time spent on observations, review of records, research, and for preparation of Dr. Bailey’s extensive report. The District contends that it did not commit any procedural or substantive violations of the IDEA. It asserts that the evidence fails to support Student’s contention that the District predetermined its offer of placement to her or failed to consider relevant information about Student from her parents or other sources. It further contends that the educational program offered to Student at the June 13, 2007 IEP team meeting provides Student with educational benefits and permits her to progress in the curriculum. The District contends that the teachers, aides, and service providers on its staff are capable of addressing all of Student’s educational needs. The District further asserts that its offer of placement for part of Student’s day in its SDC, and for part of Student’s day in one of its general education preschool classes, was an appropriate offer for Student and was the least restrictive environment for her. The District further contends that Student does not require more than 10 hours a week of ABA therapy. Finally, the District asserts that Student is not entitled to reimbursement for the services of Dr. Bailey. The District asserts that Student’s parents failed to disagree with the assessments conducted by the District, a prerequisite to their entitlement to an independent educational evaluation (IEE). In the alternative, the District offers that its assessments all met appropriate legal standards. The District therefore denies that it violated Student’s rights under the IDEA or that she is entitled to any of the remedies she has requested. 1. Student is presently just over four-and-a-half years old. She was born on April 24, 2003. At all times relevant to the allegations in this case, she resided with her parents within the District’s boundaries. Student is eligible for special education and related services based upon a diagnosis of autism. Her eligibility for special education services is not at issue in this case. 2. Student’s parents and grandparents started noticing that Student was failing to develop appropriately when Student was around two years old. They noticed that Student’s eye expression was “flat.” Student was not showing any interest in talking, was not babbling, as would a normal child, had no eye contact, and showed no interest in others. Student’s medical providers diagnosed her with severe autism and referred Student’s parents to the San Diego Regional Center. The Regional Center eventually evaluated Student, determined that she suffered from developmental delays, including speech and language delays, and found Student eligible to receive services. Observations by the Regional Center noted that Student failed to interact with others, engaged in minimal eye contact with others, failed to respond to basic commands or to her name, would run out of the house, exhibited some aggressive behaviors, was prone to tantrums, and exhibited some stereotypical autistic behaviors, such as spinning and hand movements. The Regional Center found that Student’s educational needs were severe and that her behavioral needs were moderate. The Regional Center contracted with Coyne, which is certified by the state of California as a non-public agency (NPA) to provide the ABA services to Student. 3. Once Student was diagnosed with autism, her mother became an active participant in researching information and treatments on autism and personally learning techniques which Student’s mother could implement herself with Student. Mother’s research on the internet in the summer of 2005, led her to the Brent Woodall Foundation. 4 The foundation evaluates children for autism and recommends treatments and sources of assistance for parents. Tracey Woodall runs the Foundation, which is based in Texas. Student and her mother flew to Texas in August of 2005. Ms. Woodall administered the Assessment of Basic Language and Learning Skills to Student to assess Student’s present developmental levels and to assist in educational planning for Student. The assessment indicated that Student demonstrated severe cognitive delays. However, the assessment and observations of Student indicated that she was able quickly to acquire tasks that did not require language comprehension. The assessment also indicated Student had profound receptive and expressive language delays and that Student did not then possess any functional social skills. Student also demonstrated delays in self-help skills, as well as self-stimulatory behaviors stereotypical of autism, such as wiggling her fingers. 4. During the four days Student and her mother were in Texas, the Woodall Foundation provided Student with 32 hours of ABA therapy and provided Student’s mother with intensive parent training. Student responded extremely well to the therapy, progressing more in the four days than expected. Ms. Woodall recommended that Student receive at least 30 hours per week of one-on-one direct ABA therapy services. 5. Although the Regional Center did not agree to fund the 30-hour a week program recommended by Ms. Woodall, it did contract with Coyne to provide approximately 12 hours a week of in-home ABA services to Student starting in September 2005. Except for the number of recommended hours, the Coyne services mirrored the recommendations made by Ms. Woodall. Coyne provided a parent training component as well. Within a short time after the Coyne services began, Student’s mother noted a marked improvement in Student’s behavior and development. 6. The Woodall Foundation administered another set of assessments to Student in December 2005. The assessment noted that in the four months or so that Student had been receiving ABA services, Student’s speech and language skills had progressed exceptionally well, rising in just four months from profoundly severe to moderately severe. 8. Student’s initial IEP with the District was held on March 31, 2006. The IEP team noted that Student was highly responsive to a structured environment. She was beginning to show strong pre-academic skills (she was able to count to 12), and could answer basic questions about herself and her family, such as her name and her sister’s name. However, the assessments indicated, and the IEP team agreed, that Student demonstrated significant deficits in the areas of receptive, expressive and pragmatic language. Student communicated primarily using one-word utterances and she often spoke jargon and engaged in echolalia.6 Although Student was approximately 34 months old at the time she was assessed, the assessments indicated she had a vocabulary comprehension of a child between the ages of 15 and 16 months. At a level of between 20 and 21 months, Student’s expressive vocabulary was also significantly below her actual age level. Student also demonstrated significant social/emotional deficits. The IEP team noted that she felt overwhelmed in large groups and would withdraw. Student continued to demonstrate fleeting and limited eye contact, and was noted to withdraw during group activities with peers. The IEP team also noted that Student’s diagnosis of autism caused the indicated delays in communication and social skills and that Student was currently unable to acquire new skills through observation or group instruction. 9. As a result of Student’s assessments and discussions with the IEP team on March 31, 2006, the District offered Student the following placement and services: placement in a District special day class for 240 minutes a day, 120 minutes of which would be individualized direct instruction; individualized direct instruction for an additional two hours per day, five days a week; speech and language services three times a week for 30 minutes each session; and occupational therapy/speech group one time a week for a 45-minute session. The District also proposed up to 25 hours of consultation between Coyne and District staff to transition Student’s ABA program to the District. Student’s parents agreed with the IEP team’s determination of Student’s present levels of performance, and with most of the goals developed for her. However, they did not agree with the District’s proposed placement and proposal for provision of ABA services. Specifically, Student’s parents believed that Student did not belong in a SDC and believed that Coyne should continue providing ABA services to Student in their home. 10. Coyne referred Student’s parents to the Hanna Fenichel preschool. Hanna Fenichel is a community preschool serving typically developing preschool students. The state of California has not certified it as a non-public school (NPS). Student’s parents were very impressed by the school and decided that they would enroll Student there beginning in the fall of 2006. They also filed a due process complaint against the District based upon their disagreement with the placement offered by the District. The parties settled the due process complaint in the summer of 2006. By the terms of the settlement, which covered the 2006-2007 school year, Student received a total of 25 hours a week of ABA services to be provided by Coyne. The 25 hours consisted of 19 hours a week of direct instruction in Student’s home and six hours per week of a one-on-one aide for Student while she attended Hanna Fenichel two days a week. The settlement agreement also provided for supervision of the ABA program at home and at Student’s preschool. Additionally, Student received two 45-minue sessions of speech and language therapy at the District preschool site as well as an hour a month of occupational therapy consultation between Student’s mother and a District occupational therapist. At hearing, the parties did not enter into evidence this settlement agreement. It is also unclear from the testimony at hearing exactly who funded the placement and services. 11. After signing of the settlement agreement, Student’s parents had little contact with the District until February 16, 2007, when Student’s IEP team first met to begin the process of developing the IEP for Student’s 2007-2008 school year. The IEP team held meetings on February 16, 2007, May 11, 2007, and June 13, 2007. It is the offer made to Student by the District as a culmination of these meetings, the events leading to that offer, and observations conducted of Student to help the District determine its offer, which form the basis of the complaints that are at issue in this hearing. 12. A school district must comply both procedurally and substantively with the IDEA. While not every procedural flaw constitutes a denial of FAPE, procedural flaws that inhibit a student’s right to receive a FAPE, significantly inhibit a parent’s opportunity to participate in the IEP process, or cause a deprivation of educational benefit to a student will constitute such a denial. A school district may commit a procedural violation of the IDEA if it comes to an IEP meeting without an open mind and several options to offer for discussion with all team members, or refuses to consider the input of a student’s parents or other relevant data her parents may have. A district fulfills its obligation in this regard if it does suggest different potential placements, and discusses and considers any suggestions and/or concerns a parent has concerning the child’s placement. However, participation by the parents must not be mere form over substance; participation in the IEP process must be meaningful. 13. A school district is also required to make a formal written offer that clearly identifies its proposed program. However, it is proper for district IEP team members to discuss among themselves the parameters of programs available to a student and to write a draft of a program they may want to discuss with a student’s parents. Furthermore, parents do not have a right to their choice of placement or choice of service providers, as long as the district’s choice of program or providers offers a FAPE to the student. 14. Student contends that the District had already predetermined to place her in a special day class at its preschool before it participated in the IEP meeting on May 11, 2007, and therefore denied her parents an opportunity to participate in the IEP process, resulting in a denial of FAPE to her. Student bases her assertion on conversations Student’s mother had with District Director of Pupil Services Mary Ellen Nest prior to the May 11 meeting, on the fact that District witnesses acknowledged having discussed Student’s IEP before the May 11 meeting, and based upon Student’s assertion that the District refused to consider continued placement for her at Hanna Fenichel. 15. The IEP team considered the meeting the parties held on February 16, 2007, to be a “pre-meeting.” The main purpose of the meeting was to determine which assessments the District would administer to Student and to arrange observations of her. At this meeting, the District prepared an assessment plan for Student that included formal assessments in the areas of speech and language and vision, observations of Student and a review of her records, by a District behavior specialist and school psychologist, and by an outside evaluator. Student’s mother signed agreement to the assessment plan on February 19, 2007; she later added that she was also requesting a Social/emotional and adaptive behavior assessment. 16. Jodie Reise, a behavior specialist for the District, observed Student for an hour at her preschool on March 13, 2007. At school, Ms. Reise observed that Student would play alongside her peers but did not initiate play herself. Her one-on-one aide facilitated all her interaction with peers. Student did not comply with her teacher’s prompts to go to circle time; she responded when prompted by her aide. Ms. Reise observed that Student did not respond to questions specifically on topic and did not always use complete sentences in her responses. However, Student was quiet and attentive during the circle time. Ms. Reise also observed that Student was able to choose activities independently and remain engaged in them. Ms. Reise’s observation notes did not make any recommendations about placement or related services for Student. 17. Ms. Reise then observed Student at Student’s home for two hours on March 23, 2007. Ms. Reise noted that Student engaged in a significant amount of imaginary play at home, used pronouns in her speech, and answered “who, what, where” type of questions when asked by her one-on-one ABA aide who was giving Student a session during Ms. Reise’s observation. The aide also worked with Student on recalling detailed information. Ms. Reise noted that Student knew all the upper case letters and was working on learning the lower case letters. Student was attentive while listening to a story and answered questions about it that her aide posed to her. Ms. Reise observed that Student could rote count to 15, could answer social questions, such as ones about her parents’ names, and could identify some words by sight. Ms. Reise’s observation notes of Student while at Student’s home also did not make any recommendations concerning Student’s educational placement or provision of related services. 18. Dr. Laura Schreibman, a distinguished professor at the University of California, San Diego, who is an autism specialist and was the District’s outside evaluator, observed Student for approximately two hours at her preschool on March 22, 2007. School psychologist Sharon Loveman observed Student for an hour and a half at her school on April 3, 2007, and for an hour and 45 minutes at Student’s home on April 19, 2007. Ms. Reise and Ms. Loveman hand-wrote their observations but did not make any specific recommendations concerning Student in their observation reports. Dr. Schreibman reduced her observations to a letter written to Ms. Nest in which she also gave her recommendations concerning what she considered an appropriate placement for Student. Dr. Schreibman, who had also observed both a District preschool SDC and a District general education preschool class, found that the District’s general education class was then beyond Student’s capabilities. She also found that behaviors she observed in Student counseled against continued full inclusion of Student in her present placement at Hanna Fenichel. Rather, Dr. Schreibman recommended a placement for Student in the District’s SDC, which also enrolled a number of typically developing peers along with the special education students. The District provided copies of all three of these reports to Student’s parents. 19. District School psychologist Sharon Loveman observed Student for two and a half hours at her preschool on April 3, 2007. She observed that Student’s general demeanor was relaxed, happy, engaged and alert. However, Ms. Loveman also noted that Student had limited interaction with her peers and, while she played alongside them, Student did not mimic their play and seemed unaware of her peers’ shift to play that is more complex. Ms. Loveman noted that Student’s response to her instructor’s attempts to get Student to initiate interaction with her peers was limited. With regard to Student’s use of language, Ms. Loveman noted that Student expressive language was limited, although Student did repeat spontaneously words that she overheard and was able to express emotion and intent. Ms. Loveman also observed that Student was attentive during circle time, was able to choose books to look at and knew that the book was supposed to be read page by page. Student also appeared to understand the routines in the classroom, and did not have difficulty transitioning between activities in the class or from classroom to playground. Ms. Loveman did not make any recommendations in her observation notes concerning placement or services for Student. 20. Ms. Loveman observed Student at Student’s home for an hour and forty-five minutes on April 19, 2007. Ms. Loveman observed that Student sought out variation and new learning experiences at home, refusing to do tasks she had already mastered. Student had a high stamina for work and play and was socially engaged and curious during the home observation. Ms. Loveman observed that Student had a strong memory for previously acquired information and demonstrated an extensive and varied vocabulary as it related to a dinosaur book. Ms. Loveman noted that Student at times did take a lot of time to respond to questions, but that Student’s expressive language did include the use of adjectives and pronouns. She noted (as later confirmed by Ms. Reise) that Student’s verbal expression was significantly more spontaneous at home than at school. Ms. Loveman’s observation notes of Student at home did not include any recommendations concerning placement or services for Student. 21. After receiving Dr. Schreibman’s letter, as well as the observations of Ms. Loveman and Ms. Reiss, Ms. Nest discussed Dr. Schreibman’s recommendations with both Ms. Loveman and Ms. Reiss, as well as with District speech and language pathologist Lisa Ryder. Her conversations with each took place separately. Ms. Nest asked each if she believed that Student should remain in her present placement at Hanna Fenichel. Each expressed reservations about the placement and the level of prompting Student was receiving at the school, as observed by Ms. Loveman, Ms. Reiss, and Dr. Schreibman. While Ms. Nest and the other staff members discussed supports and services Student was presently receiving, and what possible supports and services they each believed Student needed, they never discussed or compared program costs, and never discussed whether the District should refuse to consider continuing Student’s placement at Hanna Fenichel. Ms. Nest did not direct any of the staff members to take a particular position on placement nor did she direct that they refuse to consider a placement at Hanna Fenichel. 22. Coyne also prepared a progress report regarding Student, dated May 1, 2007, in anticipation of Student’s annual IEP. The report recommended that Student continue to receive 25 to 30 hours a week of ABA-related services, divided between Student’s home and preschool. Most significantly, Coyne recommended that Student’s education be in a fully included general education class rather than in a SDC, in direct contradiction to the recommendation made by Dr. Schreibman. 23. Student’s mother agreed with Coyne’s recommendations. Since they were contrary to the recommendation of Dr. Schreibman, who Student’s mother knew to be a well-known authority on autism, Student’s mother became concerned about the conflicts in the two recommendations and how the District would react to the recommendations made by Coyne. She was very concerned that the District would not consider Coyne’s recommendations and that the District would refuse to consider placing Student at Hanna Fenichel for the upcoming school year. She therefore telephoned Jane Whitney, her educational consultant from the Regional Center, and asked her to call Ms. Nest to inform her of what the Coyne report recommended so that there would be no surprises at the IEP meeting, which had recently been scheduled for May 11, 2007. 24. Ms. Whitney telephoned Ms. Nest per the request of Student’s mother. Ms. Whitney explained what was in the Coyne report, stating that the family wanted to have a streamlined IEP meeting without surprises. Ms. Nest agreed that there might be disagreement at the IEP meeting since the parties’ respective consultants had given contrary recommendations. Ms. Nest did not make any negative remarks about Student’s mother to Ms. Whitney; their conversation was brief and Ms. Nest thanked Ms. Whitney for sharing the family’s information concerning the Coyne recommendations with her. 25. After the phone call from Ms. Whitney, Ms. Nest was convinced that Student’s family was going to insist on maintaining Student’s placement at Hanna Fenichel with the same level of Coyne services and would refuse to consider placement in a District classroom. Based upon her conversation with Ms. Whitney, Ms. Nest telephoned Student’s mother. They had a long discussion about the upcoming IEP meeting and about Dr. Schreibman’s recommendation that Student be placed in the District’s SDC. Ms. Nest told Student’s mother that she agreed with Dr. Schreibman’s recommendation for a SDC placement although she was not specific during this conversation as to why she agreed with it. This prompted a discussion between the two about the concept of placement in the least restrictive environment, and the opinion of Student’s mother that an inclusive placement was more appropriate for Student. Ms. Nest commented that she wanted the IEP meeting to be non-adversarial and they should “agree to disagree.” Ms. Nest ended the conversation by stating that if there was no agreement at the IEP meeting the parties could meet afterward and perhaps try to mediate their differences. Ms. Nest did not discuss what opinions other District staff had expressed concerning possible placement for Student. 26. Student’s mother believed that Ms. Nest’s conversation with her indicated that the District would not consider a placement at Hanna Fenichel. She called Ms. Whitney to voice her concerns and, ultimately, wrote to the District’s Superintendent to express her concern that the District had predetermined Student’s placement for the following school year. The Superintendent never responded to the letter. Ms. Nest did not discuss options for Student’s placement with the Superintendent. 27. Concerned about the tenor of the conversations between Student’s mother and Ms. Nest and the concern of Student’s mother that the IEP meeting would be a charade, Ms. Whitney contacted Ms. Loveman to set up a meeting prior to the scheduled IEP meeting. Ms. Loveman agreed that a meeting would be helpful to try to restore trust and confidence between Student’s mother and Ms. Nest. Ms. Loveman hoped that this meeting would make the following day’s IEP meeting more productive. 28. The meeting took place at the District’s offices on May 10, 2007, and lasted approximately 30 minutes. Present were Student’s mother, Ms. Whitney, Ms. Loveman, Ms. Ryder, and Ms. Nest. Student’s mother expressed her concerns about the District following Dr. Schreibman’s recommendations and concerns that the District would insist that Student attend the District’s SDC the following school year. According to Ms. Whitney, Ms. Nest was defensive about the District’s programs and her staff and stated that she wanted to ensure that Student’s mother did not criticize the staff or their programs during the IEP meeting the next day. However, Ms. Nest also listened to what Student’s mother had to say and did not state that she had been directed by her superiors to refuse to consider anything other than a District placement for Student. Nor did Ms. Ryder or Ms. Loveman express an opinion at this meeting about the benefits or disadvantages of any particular placement for Student. The meeting did not resolve any of discord between Student’s mother and Ms. Nest nor did it alleviate any of the concerns Student’s mother had that the District had predetermined Student’s placement for the upcoming school year. 29. The IEP team meeting took place as scheduled on May 11, 2007. Present at the meeting were Student’s mother, Coyne & Associates ABA supervisor Jessica Korneder, Hanna Fenichel school Director Sarah Hillier, vision specialist Amy Nangel, and Student’s attorney Maureen Graves. Also present were Regional Center educational consultant Jane Whitney, District school psychologist Sharon Loveman, Child Development Center Director Suzanne Blackwood,7 speech and language pathologist Lisa Ryder, behavior specialist Reise, District Director of Pupil Services Mary Ellen Nest, District preschool SDC teacher Tracy Allison and occupational therapist Karen Peterson. District consultant Dr. Laura Schreibman joined the meeting about an hour after it started. 30. The team reviewed Student’s present levels of performance (the review had begun during the previous meeting on February 16, 2007) and Student’s goals. Student’s mother had previously met with Ms. Ryder, the speech and language pathologist, to draft speech and language goals. The vision specialist had not been able to observe Student prior to this IEP meeting and wanted to do both the observation of Student and specific vision assessments of her, to which Student’s mother agreed. There was no disagreement between the members of the IEP team regarding Student’s present levels of performance, the significant progress Student had made during the school year, or what Student’s goals for the next year should be. 31. The IEP team spent a considerable amount of time during the meeting reviewing Coyne’s progress report of Student and the observations of Student by Ms. Reise, Ms. Loveman, and Dr. Schreibman. Hanna Fenichel Director Ms. Hillier reviewed Student’s progress at the preschool and the impressions the Hanna Fenichel staff had of Student. The meeting lasted almost three hours; much the meeting discussion focused on Student’s progress, present abilities, and, significantly, what type of placement Student needed in order to make further progress in her education. Student’s mother spoke for very long interludes on what she saw as Student’s progress, abilities and needs for the upcoming school year. Ms. Reise and Ms. Loveman discussed their observations of Student and their concerns that Student was not able to initiate social interactions at school and their concerns that Student’s expressive language at school continued to be underdeveloped. 32. After Dr. Schreibman arrived at the meeting, the team focused on her report and recommendations. Dr. Schreibman was concerned that Student was still exhibiting perseverating behaviors. For example, she had observed Student’s fixation with one type of play and her lack of spontaneous play with other students. Dr. Schreibman also expressed her concern, as indicated in her observation report, that Student was not directing language at another person; Dr. Schreibman had observed Student talking to the wall. Dr. Schreibman believed that these behaviors of Student needed to be extinguished, and believed that a SDC was the best environment for doing so. She strongly felt that Student should not continue in a fully included classroom. Rather, Dr. Schreibman believed that Student’s appropriate placement was in the District’s preschool SDC, although she anticipated that Student would soon be able to transition to a general education class if it had a small number of students in it. Dr. Schreibman did indicate, however, that she believed a possible placement for Student could be a combination of the Districts’ SDC and the Hanna Fenichel class. 33. Dr. Schreibman’s comments prompted a long discussion between the IEP team members about the benefits and drawbacks of both the District’s SDC classroom and the Hanna Fenichel classroom. Unfortunately, at the time of the IEP meeting, no one from the District had been able to observe the four-year-old class at Hanna Fenichel where Student would attend the following school year was she to be placed there. Ms. Hillier discussed the differences between the three-year-old class and the four-year-old class: students attended the latter five days a week rather than two days a week, and the four-year-old class was less play-based and focused more on kindergarten readiness than did the three-year-old class. 34. There was a marked disagreement between the parties as to the import of the observations of Student by the District observers. Ms. Loveman, Ms. Reise, and Dr. Schreibman believed that the behaviors they observed of Student at school were significant and could best be addressed and extinguished in a SDC setting, although they did see many of the benefits of the Hanna Fenichel classroom. Ms. Reise specifically discussed the benefits of combining a structured classroom during the first portion of Student’s day with an inclusive classroom for the second half of her day. Conversely, Student’s mother, her attorney, the Coyne representative, Ms. Whitney, and the Hanna Fenichel Director, all believed that Student had demonstrated significant progress during the year. They believed that Student’s interactions with peers was increasing, that she was requiring less prompting from her aides, that her language abilities were increasing, and that she was functioning well in the general education inclusive environment at Hanna Fenichel. 35. Dr. Schreibman had to leave the IEP meeting before it concluded. After she left, the team members spent the majority of the remaining meeting time reviewing and constructing Student’s goals and objectives. The IEP team agreed on Student’s goals. However, the IEP team did not reach any decision regarding Student’s educational placement for the next year and did not spend more than incidental time discussing Student’s need for continued ABA therapy. The District did not make an offer of placement and services at the meeting. Rather, the team agreed that the District would submit a written offer of placement and services for Student to her parents after the meeting, based upon the agreed-upon goals and objectives, rather than meeting in person later. 36. Based upon advice of legal counsel, the District decided to hold another formal IEP team meeting to present its offer of placement and services to Student’s mother rather than to submit the offer by mail. The meeting took place on June 13, 2007. Present were Student’s mother and her attorney Ms. Graves, Dr. Len Levin (the Coyne Clinical Director), Jessica Korneder from Coyne, Ms. Whitney, Ms. Loveman, Ms. Blackwood, Ms. Ryder, Ms. Allison, Ms. Nest, and Jonathan Read, attorney for the District. No one from the team invited Dr. Schreibman to the meeting. 37. After discussion of the need to complete Student’s vision assessment, Ms. Nest reviewed the IEP notes from the previous meeting. The team then reviewed the special factors page of the IEP document, and reviewed the accommodations and supports that Student required in a classroom in order to access her education. The team then discussed Dr. Schreibman’s recommendations for a more structured classroom placement, such as the District’s SDC in comparison to the recommendations made by the Coyne representatives. Student’s mother pointed out that there was no dispute between the parties that certain interventions should take place to redirect Student’s inappropriate behaviors. Rather, the dispute concerned in what type of setting those interventions should occur. 38. The District then made its offer of placement and services, which Ms. Nest presented. The District made its offer based upon the input of Dr. Schreibman, the observations of Ms. Loveman and Ms. Reise, Coyne’s progress report, and input from Student’s mother and educational consultant. Based upon all discussion and review of all the reports, the District offered a placement to Student. The offer consisted of placement of Student for two hours in the morning in the District’s SDC on its preschool campus for four days a week. Student would then transition to a District general education preschool class, where she would spend two hours a day, four days a week, accompanied by a one-on-one aide. The District also offered to provide Student with one-on-one ABA therapy at the District school site for two hours a day, five days a week. The District also offered Student two 45- minute sessions a week of speech and language therapy, one 60-minute session of group social skills a week, and one 60-minute occupational therapy consultation per month. The District noted that the SDC was actually composed of approximately seven special needs children and five typically developing children so that Student would be educated with typical peers for most of her day. 40. Although Ms. Nest’s comments during her conversations with Student’s mother apparently contributed to the tension between the parties, the weight of the evidence does not support Student’s contention that the District predetermined Student’s educational placement. Ms. Nest may have had her own idea of what was appropriate for Student, as each team member, including Student’s mother, may have had. However, there is no evidence that Ms. Nest’s superiors directed her to offer a specific placement or to refuse to consider Hanna Fenichel.9 Nor does the weight of the evidence support an inference that Ms. Nest pressured her staff to make a specific recommendation or to refuse to consider any placement, including one at Hanna Fenichel. The team spent considerable time at the IEP meetings reviewing all recommendations, hearing everyone’s comments, considering the benefits and drawbacks of each type of placement, and discussing Student’s needs. The District made its offer based upon all these consideration, not on a preconceived notion of what Student needed. 41. Especially credible was the testimony of school psychologist Ms. Loveman. By the time she testified at the hearing, Ms. Loveman had retired. Therefore, any bias or loyalties that may be argued to influence staff members presently employed by the District could not be attributed to Ms. Loveman. Additionally, and significantly, Ms. Loveman had, and has, a long-term personal relationship with Student’s family, extending to when Student’s mother was a small child. Ms. Loveman therefore had no reason to temper, color, or change her recommendations to please the District at the IEP meetings or any reason to color her testimony at hearing. If anything, her long-term personal relationship with Student’s family would argue for an inference that Ms. Loveman would be more apt to want to skew her recommendations toward the desires of Student’s family. 42. Ms. Loveman, however, gave credible testimony that her recommendation that Student required a SDC placement for at least a portion of her school day, was based upon her observations of Student as corroborated by the observations of Ms. Reise and Dr. Schreibman. Ms. Loveman specifically stated that the District’s offer was not predetermined. The weight of the evidence supports this contention with regard to the District’s offer of educational placement for Student. 43. Neither does the evidence support Student’s contention that the District failed to consider input from Student’s mother, from Coyne, or from any other source, before it made its offer of placement. The fact that Ms. Nest met with different staff members to discuss their observations and a possible recommendation for Student does not lead to the conclusion that the District as a whole had predetermined what the placement should be. First, not all District IEP team members attended the meetings. Second, the purpose of the meetings was to discuss the different observations staff made of Student in preparation for the IEP meeting. Third, the evidence indicates that District team members did not all initially have the same recommendation for placement and that a District did not develop a consensus concerning placement for Student until after the IEP meeting held May 11, 2007. The fact that the District did not agree with Student’s request for placement at Hanna Fenichel merely reflected that the parties had a good faith disagreement regarding the appropriate placement, not that the District predetermined Student’s proposed placement and was not willing to consider her mother’s request. 44. The weight of the evidence substantiates the District’s position that Student’s mother, educational advocate, preschool Director, and ABA providers were able to participate meaningfully in the IEP process. The District team members fully considered all comments and recommendations at all IEP meetings these individuals attended. They all asked questions, gave their opinions, voiced their concerns, and gave general input to their belief that Student did not belong in a SDC placement. There is no credible evidence, other than the fact that the District ultimately offered a placement at one of its own schools, that the District prevented Student or her representatives from meaningfully participating in the IEP process. 45. Furthermore, the weight of the evidence does not support the inference that the decision to offer a District placement rather than a placement at Hanna Fenichel, or any other private school, was the result of a District-wide policy against private placements. Likewise, Student offered no evidence that any District administrator or policy-maker higher up the school hierarchy than the District IEP team members was dictating placement decisions for special education students or for Student in particular. Nor did Student present any evidence that cost factors were the driving force behind the placement offer made by the District. In sum, the only tangible evidence that Student presents to support her predetermination claim is the fact that the District offered Student a placement at a District elementary school rather than at Hanna Fenichel. However, the fact that the District ultimately believed that its program offered a FAPE to Student and that, therefore, it need not offer Student a placement at a private preschool does not compel the conclusion that the offer was predetermined. 46. Student has failed to produce persuasive evidence that the District predetermined her educational placement prior to the June 13, 2007 IEP team meeting. No procedural violation occurred. 47. The analysis concerning the District’s offer to Student of ABA therapy for 10 hours a week at the District school site, results in the same conclusion concerning whether that portion of the District’s offer was predetermined. A review of the record of the IEP team meetings10 indicates that there was meaningful discussion of Student’s need for intensive one-on-one ABA therapy and discussion between the parties as to where the therapy should occur. The parties specifically discussed the recommendations made by Coyne. Student’s mother stated that Coyne recommended that Student continue to receive a total of 30 hours a week of ABA services.11 She clarified that the ABA services at home would significantly decrease the following school year while there would be a corresponding increase in school ABA services since the time an ABA aide would accompany Student to school would increase. 48. In response to the concerns raised by Student’s attorney and by her mother, District school psychologist Sharon Loveman stated that she felt Student was ready to have her discrete trial training moved from the home to school. There is no evidence that the District attempted to foreclose Student’s mother or attorney from voicing their opinions or concerns about what they considered appropriate for Student’s ABA therapy and no evidence that discussion was stifled. To the contrary, Student’s mother spent considerable time voicing her opinion as to what she thought was proper level and type of services. Although Student’s mother also voiced a strong opinion at the IEP meeting that the District had predetermined Student’s ABA services, the weight of the evidence does not support this contention. District staff gave reasoned explanations to Student’s mother as to why they felf Student’s ABA services should be moved from the home to school. There is no compelling evidence that the recommendation to so was based on a District policy against in-home services or that school officials higher up in school hierarchy had instructed either Ms. Nest or other school staff that in-home services should not be considered. 49. Both Ms. Loveman and Ms. Reise had observed Student at home during ABA therapy sessions. Both noted that Student’s language was more expressive and better grammatically at home. Both noted to the IEP team that Student’s social skills and responses to her environment were stronger at home than at skill. In addition, both believed that because Student’s skills were stronger at home and that because she was not generalizing her skills from home to the school environment, the better course of action was to provide Student’s ABA services at school. 50. The core of the disagreement with regard to the ABA services at the IEP meeting therefore was where the services should be delivered and by whom. The District’s offer of 10 hours of one-on-one ABA services corresponded substantially to the 12 hours Student’s mother stated that Coyne would be providing based upon Coyne’s recommendation. The District listened to the arguments advanced by Coyne, Student’s mother, and Student’s attorney that ABA services be continued in Student’s home. There simply was a disagreement as to whether in-home services were necessary to meet Student’s needs. That the District was not persuaded by the arguments advanced by Coyne and Student’s mother and attorney does not mean that the District predetermined that it would only offer ABA services at the school site. 51. The weight of the evidence therefore fails to support Student’s contention that the District either predetermined the amount and location of ABA therapy offered to Student at the June 13, 2007 IEP team meeting and or made the offer without considering the input of Student’s mother or the Coyne representatives. There was thus no procedural violation of Student’s right to a FAPE. 53. The parties do not dispute that Student does not have weaknesses in the area of cognition, where assessments indicate that she is in the normal range of mental development for her age. Rather, Student’s weaknesses are in the areas of socialization and expressive language. She continues to demonstrate traits typically associated with autism. She still needs prompting to focus on topics and still needs prompting to interact with other children; Student does not always engage with other children spontaneously in the classroom. Student’s expressive and pragmatic language in the classroom is still below normal developmental level although her language is much more expressive when she is conversing in her home. Student still requires the assistance of a one-on-one aide in the classroom to prompt Student to follow instructions, to redirect her activities or inappropriate behavior, and to assist her in initiating interactions with peers. Student also continues to show anxiety when she is in large group settings such as restaurants and church Sunday school, requiring family support and assistance to assist her in functioning in these environments. 54. Student contends that she requires approximately 17 hours of in-home ABA therapy. She asserts that the 10 hours per week of school-site ABA therapy offered by the District is insufficient to provide her with meaningful educational benefit. Student contends the program should have been offered in her home, which is a more naturalistic setting for a four-year-old child. She also contends that the program offered to her is not scientifically based and supported by peer-reviewed research as required by the reauthorized IDEA. The District contends that Student has not met her burden of proving that the program it offered will not provide at least some educational benefit to her. 55. The weight of the evidence does not support Student’s contentions. First, Student presented no evidence, either documentary or through testimony at hearing, that Student needs some 17 hours a week of one-on-one ABA services. Indeed, Jessica Korneder,13 the Coyne representative supervising Student’s ABA program, indicated at the IEP meetings and at hearing that she believed that Student continued to require a total of 30 hours of ABA therapy. She recommended that the 30 hours be divided between provision of one-on-one aide services at Student’s school for the time Student participated in a classroom, and about 12 hours of intensive ABA therapy in Student’s home. With regard to the number of ABA hours needed by Student, the District’s offer therefore is very close to that recommended by Ms. Korneder. The District’s offer includes 10 hours of one-on-one ABA therapy and one hour of a facilitated group social skills session (which Student is not presently receiving) for a total of 11 hours. There is simply no evidence that Student will not be able to access her education or will be unable to progress in the curriculum with one less hour of services that that recommended by Ms. Korneder. While additional hours of ABA certainly might provide additional benefit to Student, the District is not required to maximize her potential. 57. There is more dispute as to where Student’s ABA services should take place. Dr. Bailey, 15 Dr. Levin, 16 Ms. Korneder and Ms. Woodall, all believe that Student’s ABA services should occur in the home, which they believe is the natural setting for a child of Student’s age. They believe that Student needs to learn at home and then generalize this knowledge to other settings, such as school. Student points to literature showing that autistic students received the most benefit from in-home programs. However, as discussed above, the standard is not where a student will benefit the most from a particular service. Rather, the legal standard is whether a student will obtain educational benefit from what a district is offering. In this case, the evidence supports a finding that Student will obtain educational benefit from an ABA program at a District school site. 58. Ms. Reise, the District’s behavior specialist, and Ms. Loveman, the District’s school psychologist, both observed Student in her preschool and in her home. Both observed that Student’s language abilities and social interactions were much more in evidence at home than at school. Ms. Loveman noted that Student was much more spontaneous and independent. Because of the discrepancies between Student’s demonstrated abilities at home as compared to school, Both Ms. Loveman and Ms. Reise believe, and the evidence substantiates, that Student will benefit from moving her ABA instruction to the school setting. The evidence supports the District’s contention that Student will benefit from learning to generalize her abilities to the school setting rather than continuing to concentrate on the home setting where she shows greater competency. This is especially true since the stated goal of Student’s mother, her experts, and Coyne is to prepare Student for full-inclusion in a general education Kindergarten for the 2008-2009 school year. 60. More significantly, there is no evidence that the District proposed using behavioral instruction that differed significantly from that provided by Coyne. District behavior specialist Jodi Reise credibly testified that the behavior program that she supervised was based upon traditional ABA principles, including the integration of discrete trial training, pivotal response training, and intensive one-on-one instruction. As the District points out, Dr. Levin and Ms. Korneder stated the methods used by Coyne were not based solely on traditional discrete trial training principles. 61. Dr. Schreibman corroborated the use of different methodologies to influence a child’s behavior, stating, as did Dr. Levin, that different methods work with different children. Dr. Schreibman, who was a student of Dr. O. Ivar Lovaas17 at the University of California, Los Angeles, was a knowledgeable and persuasive witness who credibly testified that researchers are constantly exploring new methods of behavioral analysis in order to individualize treatment for autistic children. As Dr. Schreibman explained, interventions for autistic children are upon applied learning theory, commonly referred to as ABA. However, there are several strategies that have been researched and validated, all of which prove beneficial to some children. These strategies include discrete trial training, pivotal response training, incidental teaching, and the picture exchange communication. Dr. Schreibman explained that ABA is a research technology, not a specific treatment. Rather, there are a number of treatments that are included in the umbrella of behavioral intervention. 62. Dr. Schreibman further explained that research has determined that many children do not respond well to discrete trial training, and that others do not respond to pivotal response training. Therefore, a program must be developed to respond to the child’s specific needs. Dr. Schreibman is acquainted with Ms. Reise and believes that she is capable of implementing an appropriate behavioral intervention program for Student. 63. Student provided significant evidence that the ABA intervention program she receives from Coyne is excellent and that the service providers, in particular Ms. Korneder, are extremely well trained and qualified. Dr. Schreibman agreed that Coyne provides a quality service. Student’s evidence also demonstrated that Coyne’s program is more structured and better supervised than the District’s ABA program, that it keeps better records, and that its supervisor, Ms. Korneder, has stronger educational qualifications and more behavior intervention experience than does Ms. Reise. However, the fact that Student’s present program may be better than the one offered by the District does not mean that the District’s program will not provide Student with a FAPE. The District need not provide the best program; it only need provide a program that offers more than minimal educational benefit to her. The weight of the evidence demonstrates that the District’s intensive one-on-one ABA program will more than meet that standard. 64. In sum, the weight of the evidence supports the District’s contention its offer of 10 hours of intensive one-on-one ABA services provided to Student at the District’s school site meets Student’s unique needs in the area of behavioral intervention. Student has presented no compelling evidence that she will not receive some educational benefit from the 10-hour program offered by the District. She has not met her burden of proof to show that the ABA program offered by the District is not based on appropriate ABA principles. Student has therefore failed to meet her burden that the District’s ABA program denies her a FAPE. 65. Student contends that the SDC at the District’s preschool does not incorporate adequate ABA principles, fails to include peers with compatible instructional needs, and is not the least restrictive environment for Student. 66. Student’s argument that the SDC fails to include peers with compatible instructional needs is not supported by persuasive evidence. District witnesses Mary Ellen Nest, Jodi Reise, and SDC teacher Denise Gomez all testified that the composition of the SDC was approximately seven special needs children and five typically developing children. The class was specifically designed to integrate typically developing children with the special needs children so that the special needs children could model their behavior on the typical children and so that the typical children could learn to appreciate and learn from the special needs children. There was very little evidence presented about the disabilities and instructional levels of the special needs children presently enrolled in the SDC. However, even assuming that they all have a lower cognitive level and more deficits than does Student, the inclusion of the typical peers would balance the composition of the class. Indeed, Dr. Schreibman noted that when she observed the SDC she had difficulty determining which children had identified disabilities and which were typically developing children. Nor has Student demonstrated that Student would not obtain educational benefit from the SDC class merely because her instructional needs are not identical to every child in the SDC class. The weight of the evidence presented by the District is that the SDC teacher teaches to the needs of every student in her class and that, therefore, the SDC class would be able adequately to meet Student’s instructional needs. 67. Student next posits that the instruction in the SDC does not meet her unique needs, as it does not incorporate ABA principles into the structure of the class. Student also questions the abilities of the SDC teacher, Denise Gomez. Ms. Gomez has a bachelor’s degree in communications from San Diego State University and an early childhood special education credential from the same school. She is better educated than are most general education preschool teachers. She has had classes in ABA techniques, inclusion training, and course work in autism. Ms. Gomez recognizes that each child is unique, and that some special needs children need more structure and visual cues than do others. Ms. Gomez stressed that the strategies she uses in her classroom as those consistent with traditional behavior intervention methodologies. She focuses on skill acquisition and reduction of inappropriate behaviors. Ms. Gomez is familiar with discrete trial training and knows how to keep data with regard to the discrete trials. Her classroom incorporates ABA methodologies such as discrete trials, behavior management, structuring of the class to meet the needs of the students. The classroom also incorporates sensory integration strategies. Ms. Gomez is willing and capable of implementing Student’s goals and objectives in her classroom. The evidence thus demonstrates that Student’s concerns about Ms. Gomez’s capabilities are unfounded. Further, the weight of the evidence does not support Student’s belief that the SDC would not adequately address her educational needs. 68. Finally, Student asserts that the SDC is not the least restrictive environment (LRE) for her. The IDEA requires, to the maximum extent appropriate, that children with disabilities should be educated with children who are not disabled, unless due to either the nature of the disability, or its severity, education in a regular class cannot be achieved satisfactorily even with the use of supplementary aids and services. Four factors are evaluated and balanced to determine whether a placement is in the LRE: (1) the academic benefits of placement in a general education setting, with any supplementary paraprofessionals and services that might be appropriate; (2) the non-academic benefits of a general education placement, such as language and behavior models provided by non-disabled students; (3) the negative effects the student’s presence may have on the teacher and other students in the general education setting; and (4) the cost of educating the student in a mainstream environment. 69. Cost factors of educating Student in a general education classroom were not put at issue in this case and thus will not be addressed. Neither is there any evidence that Student would have a negative effect on a general education teacher or the other students in a general education classroom. To the contrary, when the IEP meetings were held in May and June of 2007, Student had spent approximately nine months in a general education classroom without incident. Sharon Hillier, the Director of the Hanna Fenichel school, who observed Student a couple of times a week in Student’s preschool class, commented to the IEP team that Student was a delightful addition to the school. Ms. Hillier indicated that Student engaged in class activities and followed classroom routines, albeit with support from Student’s aide. Although the observations of Student by District witnesses Dr. Schreibman, Ms. Loveman, and Ms. Reise all noted that Student did not often initiate interaction with her classmates and still had deficits in her language skills, none observed any negative impact by Student on either her teacher or classmates. 70. Additionally, there is little evidence that Student would not benefit from inclusion in a general education classroom. The observations by Ms. Loveman, Ms. Reise, and Dr. Schreibman did not focus on the benefit Student was receiving in her general education classroom at Hanna Fenichel. Rather, their observations focused on the fact that Student was not initiating social interaction without prompting. However, upon questioning from Student’s counsel at hearing, all agreed that a teacher or an aide in a general education classroom could easily redirect the type of autistic-like behaviors, which the three had observed in Student. All parties, including the District, noted the positive aspects of inclusion, including the fact that typically developing peers would provide excellent roll models for Student with regard to her language and social skills. For these reasons, the District’s offer proposed that Student spend half of her classroom time in a general education. 71. The focus of the inquiry with regard to whether the SDC is the LRE for Student therefore is on factor one: the academic benefits to Student of a general education class as contrasted with the academic benefits to her of a SDC. In synthesis, the inquiry is whether Student was ready for full inclusion in a general education class when her IEP team met or whether she would have been unable to participate in the academic environment even with support and accommodations. 72. The District correctly points out in its closing brief that much of the testimonial evidence that Student presented at hearing of her readiness for full inclusion came from witnesses who had not observed Student at the time the IEP team met. Therefore, their observations could not be relevant to whether Student was ready at that time. Dr. Morrow observed Student just days before the hearing, some six months after the IEP team meeting. Dr. Bailey observed Student in late September and early October 2007, four months after the IEP meeting. Dr. Patricia Schneider-Zioga18 also observed Student mere days before the hearing in this matter. Although their testimony was useful in presenting an overview of Student’s present levels of language and social interaction, it was not relevant to what the parties knew, or should have known, when developing Student’s IEP six months before the hearing took place. Four to six months is a significant amount of time in the life of any four-year-old child; it is a particularly significant amount of time for Student as the evidence indicated she has consistently made remarkable progress over brief periods. 73. The District believes, based on the recommendations of its expert, Dr. Schreibman, and staff members Ms. Loveman and Ms. Reise that Student was not ready for full inclusion at the time the IEP team met. The District argues that Student needs to be in an environment where she learns independently to navigate a classroom and where activities are teacher-directed rather than student-directed as preparation for the structure of a typical Kindergarten class. Dr. Schreibman, who is well known in the field of autism, specifically believed that Student required the structure of the SDC class in order to extinguish the behaviors she observed in Student, such as talking without directing her language toward anyone in particular, and not being fully engaged in the classroom. Ms. Loveman and Ms. Reise also believed that Student would be better served in the SDC where the specially-trained SDC teacher could focus on extinguishing Student’s inappropriate behaviors, increasing Student’s language skills, and teaching her navigate a classroom without an aide. 74. However, the District’s arguments in favor of the SDC placement improperly focus on the whether Student’s access to her education would be maximized in that setting rather than on focusing on whether Student would be able to progress academically in a general education classroom. The inquiry is not whether the SDC isbestfor Student. Rather, the inquiry is whether Student should be removed the general education environment because the nature and severity of her disabilities is such that education in regular classes with the use of supplementary aids and services cannot be achieved satisfactorily. Therefore, even if it is not the best academic setting for a Student, a general education classroom is appropriate if the child can receive asatisfactory education there. 75. The District’s contention that the IEP team did not have enough evidence when it met in May and June 2007 to determine that Student could be satisfactorily educated in a general education class is not persuasive. Hanna Fenichel Director Sarah Hillier indicated the progress Student had made in her preschool class at the school. Ms. Hillier indicated that Student was participating in the class and following routines. In the nine months Student had been in the class, she had improved significantly in the areas of engagement, play, language and eye contact. Ms. Korneder, and the Coyne progress report, corroborated Ms. Hillier’s observations. Coyne noted that Student had achieved many of her IEP goals earlier than projected, had made significant gains in the areas of speech and language, social interaction skills, generalization, and compliance. As of March 2007, Student was beginning to comment to, respond to, and initiate interaction with her classmates. Coyne noted that while Student still required an aide to assist in the acquisition of peer-interaction skills and to support her attending to and compliance with her teacher’s directives, for a large part of the school day Student was indistinguishable from her peers. In addition, the weight of the evidence supports Student’s contention that she did not need the structure of the SDC classroom in order to obtain benefit from or access her education. The evidence showed that Student does not need tightly controlled activities, adult initiation of all her social activities, or a visual schedule, the core components of the District’s SDC, in order to benefit from her education. 76. Dr. Schreibman, Ms. Loveman and Ms. Reise based their recommendations for a SDC placement on their observations of Student at school. However, the total amount of time spent on those observations was approximately five hours. Conversely, Ms. Hillier and Ms. Korneder observed Student for a few hours a week over nine months. They were able to observe Student’s ability to navigate a general education classroom, her ability to learn to follow routines, and her progress in learning to interact with peers. Additionally, the main rationale advanced by the District’s observers for placing Student in a SDC was so that her autistic-like behaviors, behaviors that have not been shown to interfere with her access to her education or with the access of other students to their education, could be extinguished. The District offers no legal authority that supports the contention that extinguishing non-interfering behaviors is, or should be, the basis for a child’s placement in a SDC. Student has therefore met her burden of proof that she can, at the least, make satisfactory progress in a general education classroom, and has therefore met her burden of proof that a general education classroom is the least restrictive environment for her. The District’s offer to Student of placement in a SDC class for a portion of her school day therefore substantively denied her a FAPE. 77. Student contends that the general education classroom component of the District’s offer denied her a FAPE because it was an inappropriate educational setting for her. She also contends that when the general education component was combined with the early morning SDC placement, the offer required Student to transition through too many areas of the school campus, through too many different activities, and to have to interact with too many different classmates. 78. All IEP team members agreed that full time placement in a general education class at the CDC would be too overwhelming for Student. Dr. Schreibman specifically stated in her observation report that the CDC classroom, which she believed consisted of 24 children instructed by two teachers, was too much for Student to handle. She recommended that any inclusive classroom for Student, even after she transitioned from the recommended SDC, should only contain a few students. Dr. Schreibman believed that the Hanna Fenichel class, or one with a similar amount of students, would be an appropriate inclusion model for Student. 79. In fact, the total number of classmates with whom Student would need to interact in the CDC class was actually closer to 30 since a different core group of students attended class on different days. The structure of the CDC class in late morning during the time the District proposed that Student attended it presented an even more complicated picture, particularly for a child who was not scheduled to interact with the class at the beginning of the day when the children participated in opening activities and circle time. During the time Student would be participating in the general education class, the children were divided into two groups of 12, with one group engaging in pre-academic type activities in the classroom and the other group participating in outside activities centering on gross motor skills. The two groups switched after approximately twenty minutes. The children who made up each group changed on a daily basis.19 After these activities, the 24 children reunited in the classroom for activities such as singing and story time before engaging in closing day activities and transition to lunch and playground time. 80. Neither District expert Dr. Schreibman, the Coyne representatives, nor Student’s family believed that Student was ready to handle a classroom with the number of students in the SDC class. Indeed, the IEP document references the observation of Student’s mother that Student still demonstrated anxiety in large groups and that the Student still had difficulty at church and in Sunday school due to the large groups there. While the District staff appeared truly to believe that Student would be able to handle the large group of peers found at the CDC, there does not appear to be any concrete basis for this belief. Ms. Ryder testified that she believed the CDC classroom was appropriate for Student; however, as Student’s speech and language provider, Ms. Ryder had only observed Student in a one-on-one setting or interacting with perhaps one other child. Ms. Loveman and Ms. Reise also believed that Student could easily adapt to the large amount of children in the CDC setting, but they had only observed Student at school for a total of 3 hours between the two observations.21 On the other hand, the belief of the Coyne staff and Student’s mother that the CDC class would overwhelm Student is supported by their respective constant contact with Student and observations of her in her present classroom. 82. The ALJ finds that the Student has met her burden of proof that the CDC classroom was not an appropriate instructional setting for her and therefore the District’s offer substantively denied her a FAPE. 83. Student’s contends that the District staff is not adequately trained. Although not specified in her stated issues for hearing, Student appears to focus her concerns on whether Jodi Reise, the District behavior specialist, is qualified to supervise Student’s ABA program and whether Denise Gomez, the SDC teacher, could implement Student’s IEP. As discussed above, Student has not met her burden of proof in either regard. 84. Denise Gomez has a bachelor’s degree, a certificate in early childhood special education, and experience, albeit not extensive, teaching special needs preschool children. She also has the support of aides in her classroom as well as qualified special education District staff should she need to consult about Student or the implementation of Student’s IEP. Although not a Board Certified Behavior Analyst (BCBA), Ms. Reise has extensive experience with autistic children both as a credentialed special education teacher and as a supervisor at a NPA, which offers ABA services similar to those of Coyne. As the District points out in its closing brief, there is no legal or ethical requirement that a BCBA supervise an ABA program; Dr. Morrow indicated that his NPA often hires supervisors who are not Board certified. Student has therefore failed to meet her burden that District staff is not qualified to supervise her ABA program or that District staff could not implement Student’s IEP. 85. A parent has the right to obtain an IEE if the parent disagrees with a district’s assessment. When a parent makes a request for an IEE, a district must either fund the IEE at public expense or file for a due process hearing to show that its assessments were appropriate. Individuals who are knowledgeable about a student’s disability and competent to perform the assessments must conduct assessments. The tests and assessment materials must be validated for the specific purpose for which they are used, and must be selected and administered so as not to be racially, culturally or sexually discriminatory. The assessments must be provided and administered in the student’s primary language or other mode of communication unless this is clearly not feasible. The assessors must use a variety of assessment tools including information provided by the parent. Reassessment of a child may occur if a district believes that the child’s needs warrant reassessment or if the child’s parents or teacher requests reassessment. Unless other requested, reassessment shall not occur more than once a year, but must occur at least every three years. As part of any reassessment, the IEP team and other appropriate professionals are required to review existing assessment data or observation data for the student and receive input from the student’s parents to establish if the team needs further information to determine the student’s continued eligibility for special education services and what his or her present needs are. 86. The District administered a multidisciplinary initial assessment to Student in the spring of 2006, in preparation for her initial IEP. The assessment included an evaluation of Student’s health and development. The District also administered a transdisciplinary play-based assessment that included clinical observations, administration of the Southern California Ordinal Scales of Development – Cognition, administration of the Behavior Assessment System for Children, record review, and the MacArthur Communicative Development Inventories. 87. Student’s IEP team met on February 16, 2007, in order to start the process of formulating her IEP for the 2007-2008 school year. As part of that process, the team discussed what reassessments and new assessments Student needed. The team determined that a formal, standardized assessment was not necessary in order to determine Student’s present academic achievement. Instead, the IEP determined that Student’s SDC teacher and a District behavior specialist would determine Student’s academic achievement through observations of her and a review of her records. Likewise, the team determined that a formal, standardized assessment in the area of cognitive functioning was not necessary. Rather, the team designated the school psychologist to observe Student and review her records to determine Student’s needs in this area. The team also agreed that the District would contract with an outside evaluator who would also conduct an observation of Student and report on her findings. The consultant and District staff members were also going to observe Student’s social adaptive behavior. The team ultimately determined that a more formal speech and language assessment was needed for Student as was more formal vision testing. These latter formal assessments were eventually completed. They are not at issue in this hearing. 88. As discussed above, school psychologist Ms. Loveman, behavior specialist Ms. Reise, and outside consultant Dr. Schreibman, conducted observations of Student in March and April 2007. Student’s parents disputed the observations of each, and the ultimate placement recommendations of each, as did the Director of Student’s preschool and her ABA providers from Coyne. Student’s parents therefore did not agree to the District’s offer of placement and services at the IEP team meetings held May 11 and June 13, 2007. 89. On April 7, 2007, Student’s parents wrote to Ms. Nest, informing her that they would be unilaterally placing Student at Hanna Fenichel for the 2007-2008 school year. They also informed Ms. Nest that they were going to obtain IEEs for Student because they specifically disagreed with the recommendations of the District’s outside consultant (Dr. Schreibman) that Student required placement in an SDC. Student’s parents informed Ms. Nest that they would be seeking reimbursement from the District of the IEEs, indicating that they were considering IEEs by an educational psychologist, a speech and language pathologist, an ABA expert, and an expert on educational inclusion for students with autism. Student’s attorney confirmed to the District’s attorney that Student was seeking an IEE at public expense. Rather than agreeing to pay for the IEEs, the District exercised its rights and filed its own due process complaint to validate its assessments. 90. Student’s parents never obtained a speech and language IEE. There was no evidence presented at hearing and no argument made in Student’s closing briefs that the speech and language assessment conducted by speech and language pathologist Lisa Ryder over eight days in March and April 2007 did not meet legal standards or was in any way improperly administered. 91. The only “assessment” ultimately obtained by Student’s parents was from Dr. Caroline Bailey. As stated above, although she has a Doctorate degree in psychology, Dr. Bailey is not a licensed psychologist. She is not licensed to administer standardized tests to adults or children, and she did not do so with Student. Rather, Dr. Bailey spent numerous hours observing Student in Student’s home, school, and church, numerous hours reviewing Student’s records and researching issues concerning Student’s autism, and numerous hours preparing her extensive report concerning her findings and recommendations of Student. Dr. Bailey’s bill, and the reimbursement request by Student’s parents, is for $24,900. 92. Student maintains that her parents are entitled to reimbursement for Dr. Bailey’s services because the District’s observations did not comply with evaluation and reporting requirement and because Student disagrees with the observations and recommendations of Dr. Schreibman that Student engages in autistic-like behaviors to such an extent that an SDC placement is necessary. 93. Student’s request for reimbursement fails on several grounds. First, while she argues that the District’s “assessment” failed to comply with evaluation and reporting requirements, Student fails to identify what those standards are and in what way they were violated by the District. As the District points out in its brief, while there are specific legal standards for formal assessments, there simply are no statutory or regulatory standards for observations of students. That Student disagreed with what Dr. Schreibman observed and recommended does not result in finding that she is entitled to an IEE. Nor does the fact that Dr. Bailey conducted a much more intensive observation and spent many more hours on her observation and review of Student than did Dr. Schreibman result in the invalidation of Dr. Schreibman’s observation and recommendation. 94. Second, if Student believed that formal assessment, with standardized testing, was warranted for her, she should have made such a request. She did not. Nor did Student’s parents obtain an IEE that met the legal standard of being administered by someone competent to perform the assessment, since Dr. Bailey is not licensed to administer standardized tests and did not, in fact, administer any. She, like Dr. Schreibman, only observed Student. Student fails to demonstrate in what way Dr. Bailey’s observations, review, and research, meet evaluation and reporting requirements not met by Dr. Schreibman. 95. Finally, there is no requirement that reassessment of a student within three years of formal assessing must include formal, standardized testing unless it has been requested by either the student’s parents or teacher. Student did not request any formal assessments and did not obtain any IEE that met the legal standards indicated in paragraph 85 above. The evidence thus supports the District’s contention that its observations of Student were appropriate, that there is no specific standard by which to measure observations, and that Student’s IEE met a standard that the District’s observations did not meet. Student is therefore not entitled to reimbursement for the costs of Dr. Bailey’s services. 96. A school district may be required to reimburse a parent for the costs of private school tuition and other related services if the district failed to make a FAPE available to the child. Reimbursement is an equitable remedy that is determined on the facts of each case. As determined in Factual Findings 76 and 82, the District failed to offer Student a FAPE for the 2007-2008 school year by not offering her a placement in the least restrictive environment, and by offering her a placement in the District’s CDC general education class which failed to meet Student’s unique needs. 97. Reimbursement for the cost of a private school may be reduced or denied if the parents did not provide notice, prior to removing the child from the public school, that rejects the proposed placement, states their concerns, and expresses the intent to enroll the student in a private school. As determined in Factual Finding 89, Student’s parents provided the District the required notice prior to unilaterally placing her at Hanna Fenichel. 98. There is no statutory prohibition against an ALJ ordering reimbursement of a student’s expenses incurred at either a private school or a private service agency that has not been certified by the State of California. However, California law specifically prohibits an ALJ from rendering a decision whose result is the placement of a special needs student in a non-public school or a non-public agency that has not been certified by the State of California. While the parties do not dispute that Coyne is a certified NPA, Student admits that Hanna Fenichel is not a certified NPS. 99. Finally, equitable considerations, such as the conduct of both parties, may be evaluated when determining what, if any, relief is appropriate. Several factors may be considered when determining the amount of reimbursement to be ordered: the effort parents expended in securing alternative placements; the availability of other more suitable placements; and the cooperative or uncooperative position of the school district or of the student’s parents. 100. The weight of the evidence is that Hanna Fenichel was an appropriate placement for Student. All parties, including the District’s expert consultant, gave glowing reviews of its staff and program as well as the excellent progress Student has made while attending that school. Nor does the District point to any equitable reasons to deny reimbursement to Student’s parents of the tuition they have paid for Student’s schooling at Hanna Fenichel. Nor is there any evidence of any other suitable placements for Student. The ALJ has found that the District’s offer of placement denied Student a FAPE as its SDC did not constitute the LRE for Student and its CDC general education class was not appropriate for her. Therefore, Student is entitled to reimbursement of her tuition for the past school semester at Hannah Fenichel. 101. Student also requests prospective reimbursement for costs at Hanna Fenichel for the remainder of the 2007-2008 school year. The ALJ is prohibited by statute from ordering prospective placement at the school since it is not a certified NPS. If the issue were simply that Student’s parents had prepaid the full year’s tuition at Hanna Fenichel, but were not required to do so, Student’s argument that her parents are entitled to full payment of the tuition as reimbursement rather than a prospective cost, would be unpersuasive. However, the quirk in this case is that Student’s mother testified, and the Hanna Fenichel Director confirmed, that the school requires parents to pay the full year’s tuition in advance in order to preserve a place in the school. The District provided no evidence to counter this assertion. The ALJ finds that Hanna Fenichel is an appropriate placement for Student and that there is no evidence in the record of any other placement that would be suitable for her. The ALJ also finds that there is no evidence that Student’s parents did not adequately cooperate with the District during the IEP process and that the evidence supports the assertion of Student’s parents that they were required to prepay a full year’s tuition. Therefore, the ALJ finds Student’s parents are entitled to reimbursement of the full year’s tuition at Hanna Fenichel, for $6,100. 103. Finally, Student’s mother requests that she receive reimbursement for the hours she spent providing one-on-one ABA therapy to Student, which supplemented the hours provided by Coyne beginning in September 2007. The evidence fully supports the contention of Student’s mother that she is qualified to provide ABA services to Student, or to any child in need of such services. After Student was diagnosed with autism, her mother began researching treatments and theories concerning autism. Student’s mother later obtained a graduate certificate in ABA from Pennsylvania State University that qualifies her to provide ABA services. She has gone to extraordinary efforts to become knowledgeable about autism and, in particular, about her daughter’s specific needs. Student’s mother has also invested considerable time and effort in obtaining training so that she can address her daughter’s needs. However, there is no support for Student’s position that a parent is entitled to payment for providing educational services to his or her child under the facts of this case. Additionally, since the ALJ has found that the District’s offer of 10 hours a week of ABA services would provide educational benefit to Student, there is no evidence to support Student’s contention that she required the additional hours of ABA services provided to her by her mother in order for her to receive a FAPE. Finally, the ALJ notes that implementation of ABA concepts in an autistic child’s home after the child’s parents have received training, appears to be one of the foundations of ABA therapy. Indeed, Dr. Morrow testified that the one of the key components of the ABA program his NPA had begun with toddlers is the concept that the children’s parents would receive training so that they could continue the ABA therapy the child received in Dr. Morrow’s clinic in the home. Student therefore has failed to meet her burden of proof that her mother is entitled to payment for the hours she has spent supplementing Student’s ABA therapy. Did the District predetermine its offer of placement and related services in its IEP offer for the 2007-2008 school year? 7. 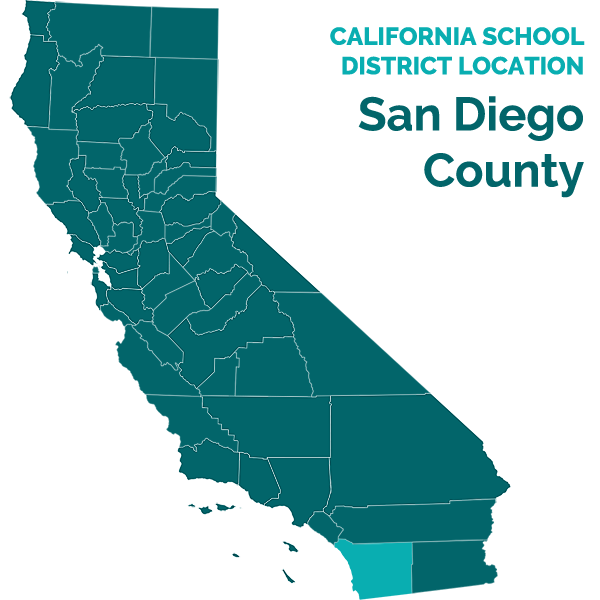 In the instant case, the weight of the evidence fails to prove that the District predetermined its offer of placement and services for Student at its preschool SDC and preschool general education class. Although Ms. Nest expressed concerns to Student’s mother prior to the IEP meeting on May 11, 2007, that the parties would not be able to reach agreement at the meeting, those concerns do not compel a finding that the District’s IEP team as a whole had made a decision regarding where it would offer to place Student. Although Ms. Nest discussed the upcoming IEP team meeting with other District staff members, she did so only to obtain an understanding of what each had observed of Student and what each might be recommending as a placement. 8. There is also no evidence that Ms. Nest either directed District IEP team members to refuse to consider a particular placement or that she attempted to influence their recommendations in any way. Unlike the circumstances in theDealcase, the Student presented no compelling evidence that the District here had a policy of refusing to place special education students at private schools or give students in-home ABA services if such was necessary and appropriate. Nor has Student proven that high-level District officials were dictating placement decisions concerning special education students. Unlike the school district inDeal, the District here provided many opportunities for the Director of the private school (Hanna Fenichel) and the private ABA provider (Coyne) to offer their opinions and recommendations. Contrary to the circumstances inDeal, District IEP team members not only permitted, but also encouraged, Student’s mother and her educational consultant, as well as her attorney, private school Director, and provide ABA providers, to contribute to the discussions concerning placement and services. There was no evidence of District attempts to stifle discussion concerning placement at Hanna Fenichel. To the contrary, a review of the IEP meetings indicates that many different IEP members and consultants dedicated considerable portions of the IEP meetings on May 11, 2007, and June 12, 2007, to discussing the conflicting recommendations for Student’s placement and services. Furthermore, there is no evidence that the District made statements either at or outside of IEP meetings that it would never consider a private school placement for Student. 9. Pursuant to Factual Findings 12 through 46, and Conclusions of Law 2 through 8, the evidence fails to support the Student’s position that the District predetermined its offer of placement and services for Student. To the contrary, the evidence supports a conclusion that the District encouraged discussion of a placement at Hanna Fenichel as compared to a placement in its classrooms. None of the cases cited above or cited by Student in her closing briefs stand for the proposition that a district is required to offer a placement that is suggested by a student, or that the failure to accept a student’s suggested placement means,ipso facto, that a district has predetermined placement. Student has therefore failed to meet her burden of persuasion that the District’s offer of placement in its SDC and in its general education class, was predetermined before the IEP meetings and has thus failed to prove that the District procedurally violated her rights under the IDEA with regard to her classroom placement. Did the District fail to consider all relevant data concerning Student, including input from her parents, before making an offer of placement and related services? 11. Based upon Factual Findings 12 through 46 and Conclusions of Law 2 through 10, Student has failed to demonstrate that the District failed to consider the input, opinions, recommendations, or concerns of Student’s mother, Student’s ABA providers, Student’s preschool Director, or any other individual having information concerning Student, with regard to her placement or services. A review of the IEP team meetings held on May 11 and June 13, 2007, support a finding that there was significant discussion by all attendees concerning the benefits and drawbacks of different placements for Student. Student’s mother and ABA providers gave long and detailed descriptions of their views of Student’s capabilities as well as what they considered appropriate programs and services for her. There is no indication that the IEP meeting was a charade or that the District was merely going through the motions in holding it. Student has therefore failed to meet her burden of persuasive that the District procedurally violated her rights by failing to consider the input of Student’s mother or her service providers. Did the District fail to offer an ABA therapy program that meets Student’s unique needs because it is not scientifically based and supported by peer-reviewed research, to the extent practicable, is not offered in a home environment, and fails to provide a sufficient amount of therapy hours? 16. As stated in Factual Finding 53, all parties agree that Student continues to have unique needs in the areas of expressive and pragmatic speech and language and in socialization. Nor do the parties dispute that Student continues to require intensive ABA services to assist in addressing her deficits. Student argues that she requires some 17 hours of ABA therapy and that the therapy must be provided in her home. As stated in Factual Findings 54 through 64, and based upon Conclusions of Law 12 through 15, Student has failed to meet her burden that she requires 17 hours of in-home ABA services in order for her to obtain benefit from her education. Student did not present compelling evidence in support of this contention. In fact, Coyne & Associates, Student’s present ABA provider, only recommended in its progress report prepared in May 2007, that Student receive a total of 25 to 30 hours of combined ABA services. Since Coyne provides an ABA aide to Student at her preschool for approximately 18 hours a week, its recommendation for one-on-one intensive ABA therapy amounted to only 7 to 12 hours a week. This conforms to the District’s offer of 10 hours a week. Nor did Student provide persuasive evidence that her special needs dictate that she receive the ABA therapy in home as opposed to at school, in order for her to obtain educational benefit or to access her education. Student’s deficits in language and socialization are much more marked at home than at school; the evidence thus supports the District’s position that providing the ABA services at school will assist Student in learning to generalize her newly acquired abilities to the school setting. Finally, as stated in Factual Findings 59 through 64, and Conclusions of Law 15, Student has failed to meet her burden of proof that the District’s ABA program is not based upon methodologies that are scientifically based and supported by peer review. To the contrary, the evidence indicated that the ABA program provided by the District includes the same methodologies used by Coyne. The fact that the Coyne providers are more highly trained, are better at record keeping, and may be better supervised than District staff does not support a conclusion that the District’s program does not meet legal standards. The District’s offer of 10 hours of ABA therapy to be provided at the District’s school site therefore did not deny Student a FAPE. Did the District’s offer of placement for a portion of Student’s school day in a special day class deny her a FAPE because it does not incorporate adequate ABA principles, fails to include peers with compatible instructional needs, and is not the least restrictive environment for Student? 17. To determine whether a school district substantively offered FAPE to a student, the adequacy of the school district’s proposed program must be determined. (Gregory K., supra,811 F. 2d at p. 1314.) UnderRowleyand state and federal statutes, the standard for determining whether a district’s provision of services substantively and procedurally provided a FAPE involves four factors: (1) the services must be designed to meet the student’s unique needs; (2) the services must be reasonably designed to provide some educational benefit; (3) the services must conform to the IEP as written; and, (4) the program offered must be designed to provide the student with the foregoing in the least restrictive environment. 20. As stated in Factual Finding 66, and based upon Conclusion of Law 17, Student has failed to meet her burden of showing that the SDC proposed did not meet her unique needs because the class was composed of students whose instructional needs were incompatible with those of Student. As stated in Factual Finding 67 and based upon Conclusion of Law 17, Student has also failed to meet her burden of proof that the methods of instruction in the proposed SDC class failed to meet her unique needs. 21. However, as stated in Factual Findings 68 through 76, and based upon Conclusions of Law 17, 18, and 19, Student has met her burden of proof that the SDC class was not the LRE for her. Applying the four-factor analysis describe in theRachel H.case, it is clear that Student could, at the very least, be satisfactorily educated in a general education classroom as long as she had aide support. There is little evidence that Student would not benefit from full inclusion in a general education setting. By the time Student’s IEP meetings were held in May and June 2007, Student had spent almost an entire school year successfully progressing in her education at Hanna Fenichel. The only people who had consistently observed Student during that entire year – her mother, her preschool Director, and her ABA supervisor – all observed that Student was able to follow routines in the class, engage to some extent with her classmates, and generally benefit from her education. There was no evidence that Student was disruptive in class or that cost factors influenced the District’s determination that its SDC was the proper placement for Student. As stated in Conclusion of Law 18, the IDEA, the California Education Code, and federal regulations place a heavy emphasis on educating special education students in the regular education environment, even if supports and accommodations are required. Removal of a special education child from the general education should occur only when the nature and severity of the child’s disability prevents her from being educated satisfactorily in the general education environment. 22. Certainly, as the cases cited in Conclusion of Law 18 note, full inclusion is not possible or practical for every special needs student. Student’s experts acknowledge as much. Dr. Morrow runs an NPS in which he enrolls only special needs students. Ms. Korneder testified that she recommends SDC placement for students where appropriate. Dr. Bailey testified that she too would indicate if a SDC placement is appropriate; in fact, Dr. Bailey was herself a student in a SDC. However, in Student’s case, she has persuasively shown that a SDC is not the LRE for her. Therefore, the District’s offer of placement in its SDC substantively denied her a FAPE. Did the District’s offer of placement in a District general education classroom for a portion of Student’s school day deny her a FAPE because it is not an appropriate instructional setting for her and because the placement creates a school day that includes too many transitions between classroom settings? 23. As stated in Factual Findings 77 through 82, and based upon Conclusion of Law 17, the evidence supports Student’s contention that the District’s general education placement at its CDC was not appropriate for her. The District’s expert consultant, Dr. Laura Schreibman, had observed the classroom and found that its composition of 24 students would overwhelm Student. Although a portion of class time that the District proposed Student spend in this class would only consist of 12 students, such was true for only approximately 45 minutes of the two hours Student would be in the class. Additionally, the true count of total potential peers with whom Student would have to interact in the class was actually closer to 30 than 24 since there were different students enrolled in the class on different days. The District’s position that Student could navigate the CDC class is based on the observations and recommendations of its former school psychologist and present behavior specialist. However, the amount of time they observed Student at her private preschool only totaled three hours. Additionally, the setting at which they observed Student – the preschool class at Hanna Fenichel – was significantly different from the CDC class proposed by the District. Student’s class at Hanna Fenichel was composed of only six to eight children and there were at least two adult instructors in the class, in addition to Student’s one-on-one aide. Additionally, Student’s mother had informed the IEP team at the IEP meeting in May 2007 that Student continued to be overwhelmed and show anxiety in large group settings. Therefore, the District’s argument that this type of class would not overwhelm Student is not persuasive. The District’s position that Student would not have difficulty in transitioning between multiple classroom settings is likewise not persuasive for the same reasons indicated above. Student therefore met her burden of proof that the District’s CDC class was an inappropriate setting for her because it did not meet her unique needs, and therefore denied her a FAPE. Did the District’s placement offer deny Student a FAPE because the District failed to provide staff capable of implementing the offer? 24. As determined in Factual Findings 83 and 84, and based upon Conclusions of Law 6 and 17, Student has failed to meet her burden of proof that District staff members were incapable of implementing any portion of the District’s proposed offer. Instructors for each portion of the placement are trained professionals who take their jobs seriously. That Student’s present ABA providers may be even better trained or supervised than District staff, or that her present providers may be more diligent in keeping records than do District staff, does not lead to the conclusion that District staff could not meet Student’s educational needs. Are the District’s assessments of Student with regard to her educational placement appropriate and, if not, is Student entitled to reimbursement from the District for the independent assessment conducted by Dr. Caroline Bailey? 30. As stated in Factual Findings 85 through 95, and based upon Conclusions of Law 2 through 29, the weight of the evidence mitigates against a finding that the District’s assessment process was inappropriate or that Student is entitled to reimbursement for the services of Dr. Bailey. Except for its speech and language assessments and vision assessments, the District chose not to re-assess Student using formal, standardized tests in spring 2007. The law does not require that it do so. Rather, the District proposed an assessment plan that indicated that District staff would only conduct observations of Student in the areas of cognitive functioning, academic achievement, and social adaptive behavior. Student’s mother signed the assessment plan; Student’s parents have not asked the District to administer formal assessments. 37. Based upon Factual Findings 68 through 82 and 96 through 100 and Conclusions of Law 17, 18, 19, 21, 22, 23, and 32 through 36, Student is entitled to relief based upon the ALJ’s finding that the District’s offer of placement in its SDC and CDC general education classes denied Student a FAPE. Hanna Fenichel met the legal requirements of an appropriate placement for Student. Nor is there any evidence that Student’s parents unduly failed to cooperate in the IEP process. Student’s parents are thus entitled to reimbursement for the costs of tuition at Hanna Fenichel that they have already paid. Furthermore, as detailed above, since the evidence supports the contention of Student’s mother that the school required payment of tuition in advance, Student’s parents are entitled to the full amount of tuition they have paid, in the amount of $6,100. 38. However, as noted in Conclusion of Law 37, California statute prohibits the ALJ from ordering that the District prospectively place Student at Hanna Fenichel and the ALJ is not making such an order now. The ALJ’s order that the District reimburse Student’s parents the full tuition they have paid for school year 2007-2008 is therefore not to be interpreted as an order for prospective placement of Student at Hanna Fenichel nor is it to be interpreted that Hanna Fenichel is the stayput for Student for any future purposes. 39. Based upon the Factual Findings and Conclusions of Law in this Decision, Student is entitled to the provision of a one-on-one aide at school. As stated in Factual Finding 101, however, Student is not entitled to her choice of aide provider. Therefore, the ALJ orders that the District provide an appropriate aide to Student in her class at Hanna Fenichel. The aide shall be specifically trained in ABA principles and specifically trained to work with autistic children. Should the District decided to use an aide other than one from Coyne, the District will arrange for an IEP team meeting to determine an appropriate plan to transition Student from her Coyne aides to the aide(s) selected by the District. 40. Based upon Factual Findings 85 through 95 and Conclusions of Law 2 through 31, Student’s request for reimbursement for the cost of Dr. Bailey’s services is denied. 1. Within 30 days of this order, the District shall pay $6,100 to Student’s parents to reimburse them for the costs of tuition they paid to the Hanna Fenichel School. 2. Within 30 days of this order, the District shall provide a one-on-one aide to Student for the time she is enrolled at Hanna Fenichel, for the remainder of the 2007-2008 school year, including extended school year in the summer of 2008. If the District chooses not to contract with Coyne, the District shall arrange for an IEP meeting with Student’s parents and the District team members to determine an appropriate plan for transitioning Student from her present Coyne aide(s) to the aide(s) selected by the District. The order to hold the IEP meeting if Coyne is not the selected provider does not affect the obligation of the District to begin providing one-on-one aide services to Student at Hanna Fenichel within 30 days of this order. The District shall also provide a minimum of one hour a week of supervision for the one-on-one aide, either through its own staff of the NPA of the District’s choice. 3. If Student wishes to receive intensive ABA services from the District, she must agree to the 10 hours of ABA services at the District school site, as offered in the June 13, 2007 IEP. 4. Student’s other requests for relief are denied. Education Code section 56507, subdivision (d), requires that this Decision indicate the extent to which each party prevailed on each issue heard and decided in this due process matter. Pursuant to this mandate, it is determined that the Student substantially prevailed on Issue 1(D) and fully prevailed on Issue 1(E). The District fully prevailed on Issues 1(A), 1(B), 1(C), 1(F), and Issue 2. The District minimally prevailed on Issue 1(D).